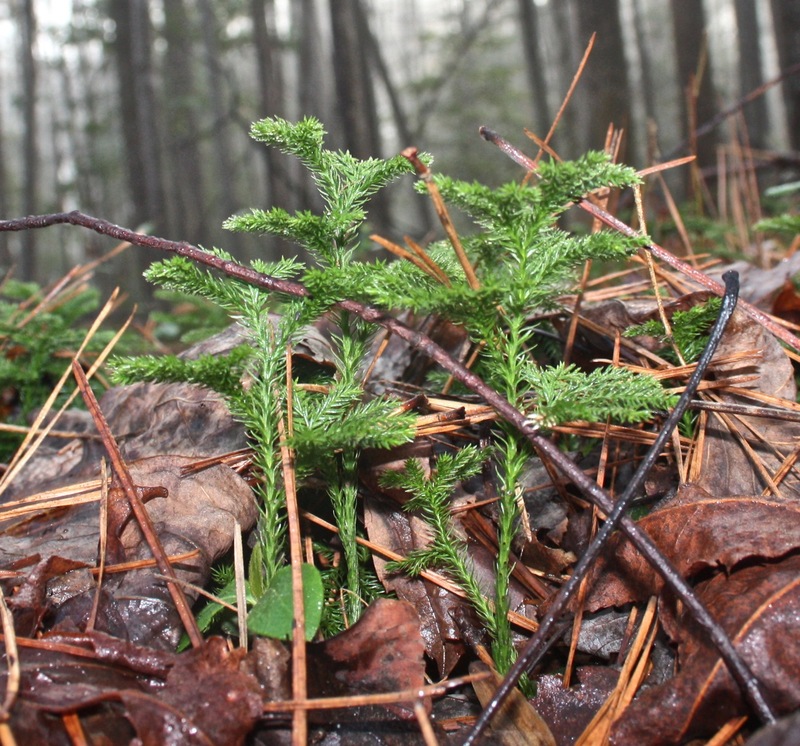 This entry was posted in club moss, Horticulture, Loblolly Pine, Nature, Virginia and tagged Biology, Flora and Fauna, Lycopodium, Spore by Annie. Bookmark the permalink. My mother used the Running Cedar for Christmas decorations when I was growing up. I hear now that it has protected status in Va., but only in Va. It must have graced too many mantels or wreaths. Oh Les, I hope you are right about protected status. I know I am protective of it. If I caught someone pulling it up, I’m not sure what I’d do. I am reminded of your posts describing damage to your garden, a saga that both shocked me and made me laugh out loud. I’d like to find those posts and read them again and again. I remember Les’s unbelievable ordeal. 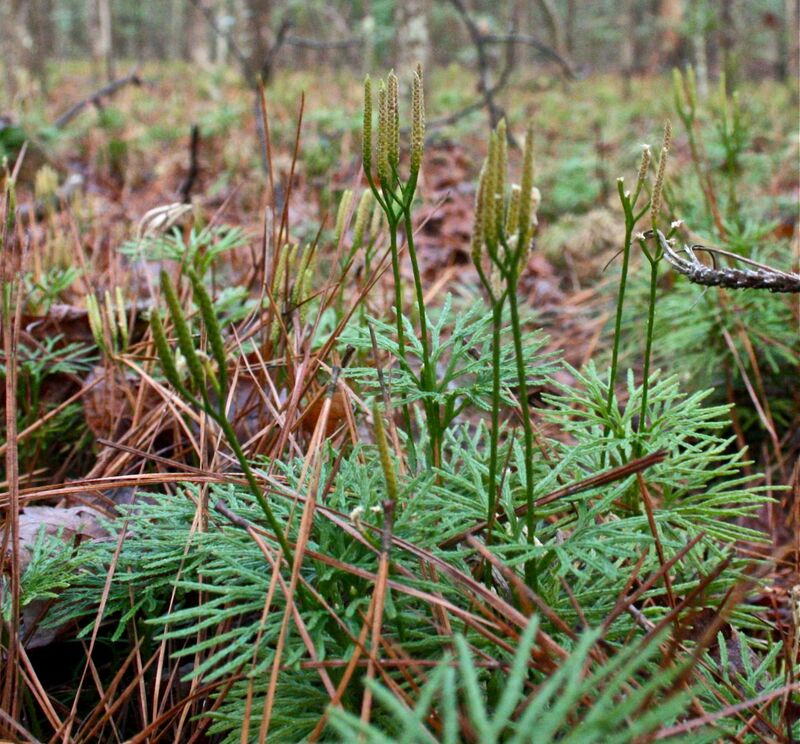 Let’s hope no one violates your wonderful club moss. I have seen it used for Christmas decorations, too, and believe it is okay to harvest from your own property although the GCV discourages use of threatened species. Thanks for the beautiful photography, I might add, Ann! Great tale! 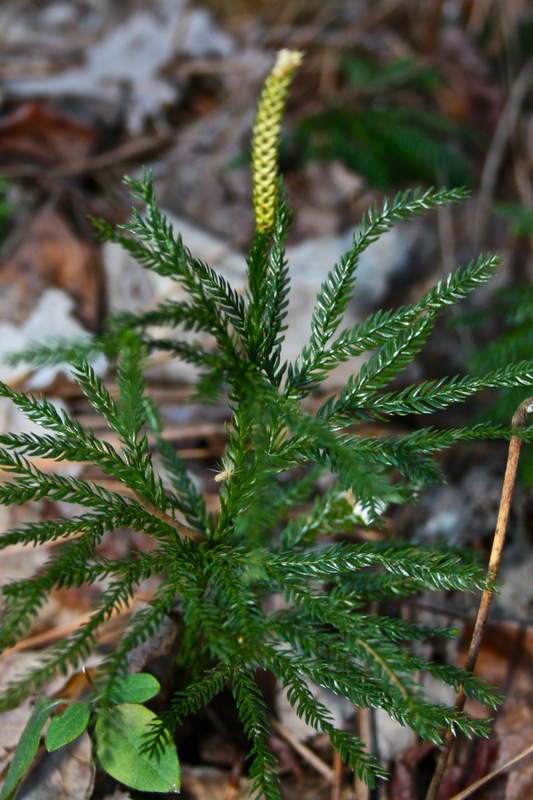 As a native Virginian, I remember this plant as Running Cedar. Years ago many people used it in their Christmas decorations. Fortunately today, people are too busy in their lives to go to the woods to gather it or too many of our forests are destroyed now by over development. I hope everyone will remember to preserve our native woodland plants. Ann, thank you for reminding everyone of how beautiful our woodlands and fight to save them! There is no harm in harvesting running cedar or Princess pine if it is done responsibly. In fact, if done properly, you will increase the population in the successive years. 1) Don’t harvest more than you need. 2) Harvest only running cedar or Princess pine with “open” mature cones that will allow dispersal of spores. 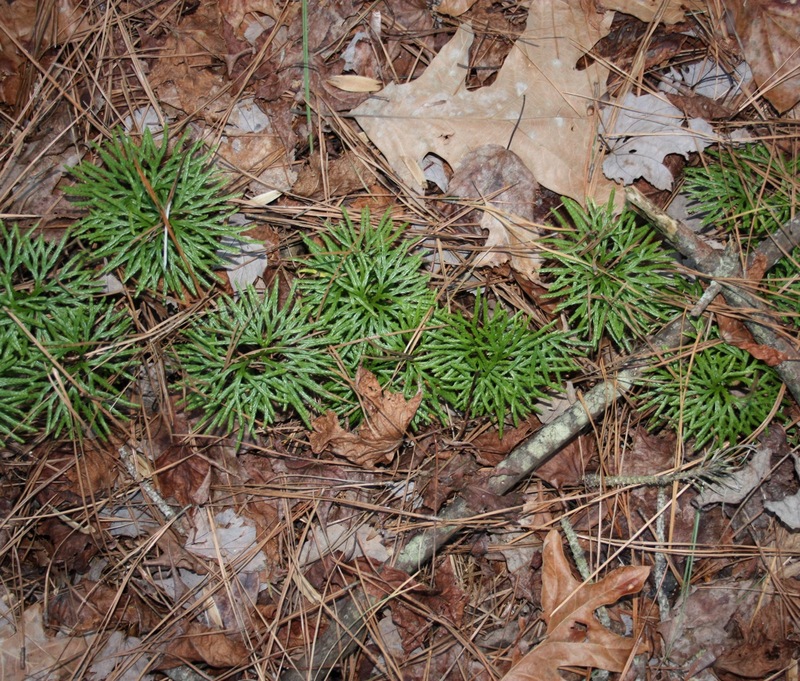 3) Disturb the leaf litter in a new spot in the woods and shake the mature cones over the disturbed area. (You’re effectively “seeding” the new area). 4) Don’t harvest an entire area. Pick one or two strands in a given area – if you select only open cones this will take care of itself. I have used this method for about 20 years and have increased the size of the area covered by running cedar on our property from about 2/10 of an acre to about 3 acres. I do harvest responsibly for projects here and there but I no longer allow the church to harvest for Christmas wreaths and altar decorations. Not a good thing! I will try your method to seed some new areas. That will be fun. Our strands are going gangbusters, too. It’s amazing how they’ve completely filled our forests in just a few years. Sadly, natural habitats are disappearing all too quickly with the sale of pine for paper mills and the creeping of suburbia. Educating people is the best strategy. Thanks for the information!